After one of St. George’s most famous residents — a feline named Flea — passed away earlier this year, his closest friends decided that the well-loved cat’s death wouldn’t be in vain. 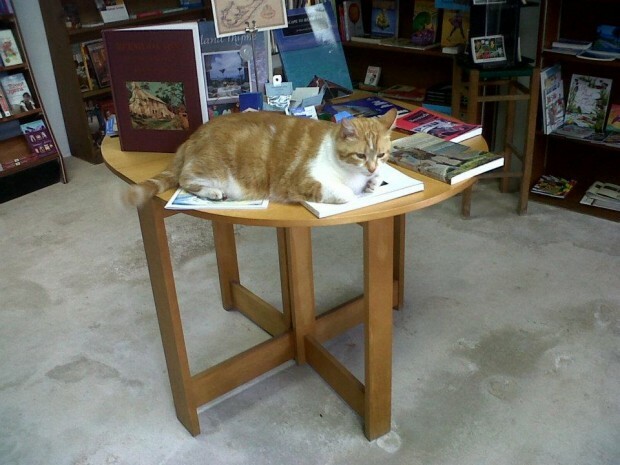 That decision eventually resulted in the release of the Flea Bookmark, an item sold at The Book Cellar on Water Street, a favourite haunt of the cat during his days roaming St. George’s streets. 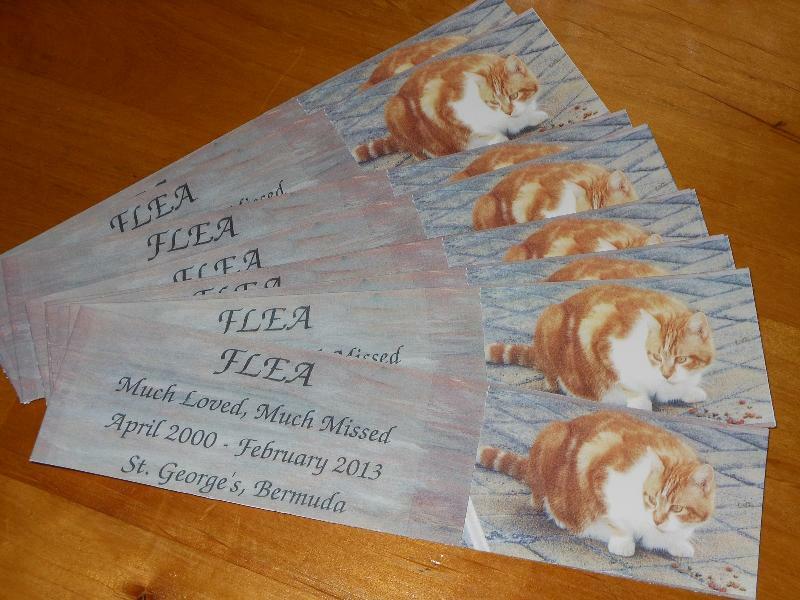 Created by Teri White, the mother of Kristin White, co-owner of The Book Cellar along with her husband Dueane Dill, the Flea Bookmark continues to sell for $2.95, with $1 of every purchase being donated to the Bermuda Feline Assistance Bureau [BFAB]. With the bookmark continuing to sell steadily, there has already been a $150 donation to the program in Flea’s name this month, with more to come in the future. Well known throughout the East End, the cat had a Facebook page — “Friends of Flea in Bermuda” — dedicated to him, which launched in 2010 and saw locals and visitors post hundreds of comments and photos of him. The famous feline also garnered some 120+ posts on the Trip Advisor website over the past few years.